During an upper class social event, a scavenger hunt breaks out, with one of the required items being a forgotten man, meaning a man forgotten by society, such as the homeless men living down by the river, in a dump area slowly being filled in for renovation. 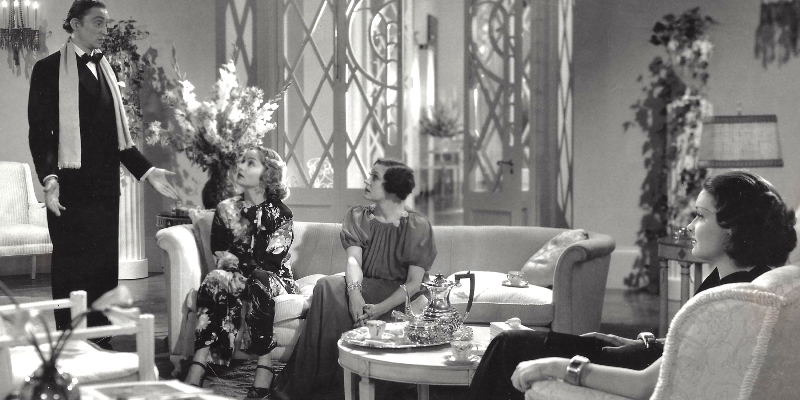 Two sisters, Cornelia (Gail Patrick) and Irene Bullock (Carole Lombard) head to the dump and find Godfrey (William Powell). Cornelia offends him, but Irene’s desperation to finally defeat her sister at something warms Godfrey to her cause, so he helps her out. However, when he is humiliated at the event and questioned as to the validity of his “forgotten” status, Irene takes pity on him and employs Godfrey as the family butler, before promptly falling in love with him. This film was nominated for me to watch by Terrence Faulkner of The Focused Filmographer. Before it was nominated for me I’d never even heard of it, so I found it an odd choice for a recommendation, seeing as there are so many other films on the 1001 List that have a far greater reputation, but having watched it I know have a better understanding for the recommendation. This is a delightfully simple comedy drama that breezes by at an effortless pace. The Bullock family may well be a bunch of entitled poor little rich folk, but they never become arduous to watch. Irene is spoiled and childish, not above throwing crying fits or pretending to faint to get her own way, whilst her sister Cornelia is a particular kind of inquisitive evil, who makes it her life’s mission to make Godfrey as miserable as possible, and scupper any chance of Irene to be happy. On a typical night out, one of them breaks a bunch of windows in town and another steals a horse from a handsome cab driver and leaves it in the family library, but can’t remember doing this the next day. Their mother, played by Alice Brady, is perhaps the most distracted, absent minded mother in movie history, paying all her attention to her protégé Carol (Mischa Auer), a free-loading, constantly-eating musician forever putting off finishing his work. The family patriarch, played by Eugene Pallette, is the only one with any sense, but has sadly given up any hope of normalising his wacky brood, resigned instead to their spiral into his debt as his wife and daughters spend more money than he can earn on the stock market. It’s clear that Godfrey entering their existence will probably make some aims to rectify many of these issues, but until then we get to enjoy how ridiculous they often are. There’s a great, witty script here, which mostly works as a satire on the idiocy of the upper classes in comparison to the resourcefulness and generally uplifting demeanour of those living less fortunate lives. I greatly enjoyed the reveal of Godfrey’s past, and the route he took to living his former lifestyle, sleeping in a packing crate down by the river, showing that people are not always what they initially appear. 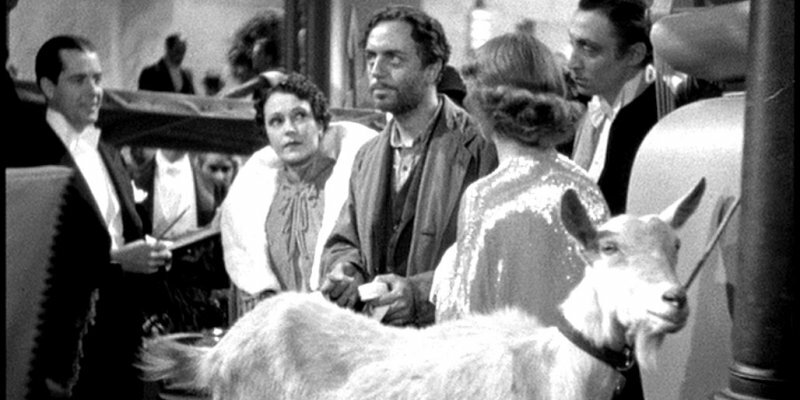 The only detracting factor lies in the climax, where too much works out nicely for people who might perhaps deserve a bigger slap in the face than they necessarily received, but it added to the comedy. Some elements of the plot seemed to be heading in very predictable directions but ended up going a little differently, which is always a good thing. This entry was posted in 08/10, 1001, Choose Film, Nominated List, Review, The List and tagged Alice Brady, Carole Lombard, Eugene Pallette, Gail Patrick, Gregory La Cava, My Man Godfrey, William Powell by jaycluitt. Bookmark the permalink. This is a classic that earned its reputation as a screwball comedy. Carole Lombard was luminous as a sweet idiot. William Powell’s delivery is dry and arch. Nice review. Thanks, I really enjoyed the film and everyone in it. I was surprised Lombard didn’t get too annoying, given how vapid she is at times. Happy you liked this one. This is such a fun and easy movie with a pace that never drags. Definitely one of these nice surprises hidden on the 1001 list. It’s the best kind of 1001 movie, one I’ve never heard of and know nothing about, but loved. I hope there’s many more.